There is something I should get out of the way right up front. I'm grading this solely on it's merits as a film. I've only read one book in the series (Prisoner of Azkaban) and therefore can't speak about how the movie relates to the book or any of that nonsense. I simply don't care. I'm sure it's a wonderfully sprawling literary masterpiece. That isn't to say I am unfamiliar with the story, however. I have seen all of the films. I am familiar with the saga of the boy who lived exclusively by how it is portrayed in cinema. So when I talk about the film's shortcomings, I am speaking about the what is reflected in the film alone. The movie picks up exactly where the previous installment left off. Voldemort has the Elder Wand and Harry has the Sword of Omens...or whatever it's called. I'm not trying to be facetious. Aquiring the sword was the key to the last film and here it is nothing more than a McGuffin. It exists to advance the plot, but isn't actually used for anything until the very end. Even then it doesn't seem very special. Anyway, the Potter crew's goal is to destroy the remaining horcruxes and vanquish the lord of all evil forever. Of course they succeed in this task, and they do so relatively easily. There really aren't many things that stand out from the film. Maggie Smith was fantastic in her role, and was given much more screen time in this outing. I wish they had played more with her character in the previous movies, but I digress. Snape's death was given adequate emotional weight. Seeing him dying as his character's true nature is revealed is the only stroke of brilliance in the film. 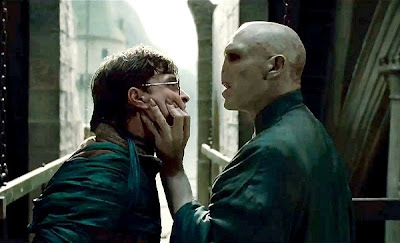 It puts all of the run-ins between he and Harry into a fresh perspective and sets up the death of Voldemort to be emotionally satisfying. Then, for some reason the film abandons Harry's personal anguish in favor of meaningless special effects sequences and sudden deaths of supporting characters. A few die off-screen and, in the case of Bellatrix LeStrange, a few are just caught off guard and killed handily. Finally, Harry confronts He Who Shall Not Be Named for the epic conclusion and...some other dude saves the day. Why would you set up such an epic story only to have the hero stand there? Harry's death is even meaningless. Nothing significant is accomplished between his demise and reemergence. After the climax, for some inexplicable reason, the narrative jumps ahead a number of years. All of the characters are grown up and have children of there own. Harry exchanges an "oh you rapscallion" glance with Malfoy and then everyone's offspring get on the train together, destined for Hogwart's. It's almost as if Harry didn't really accomplish anything by overcoming Voldemort. The whole sequence has a "what an adventure we had when we were kids" feel to it. I know the series is primarily aimed at children, but really? The movie tries so hard to be darker and more mature (ala Empire Strikes Back) only to wade back into the kiddie pool in the third act. 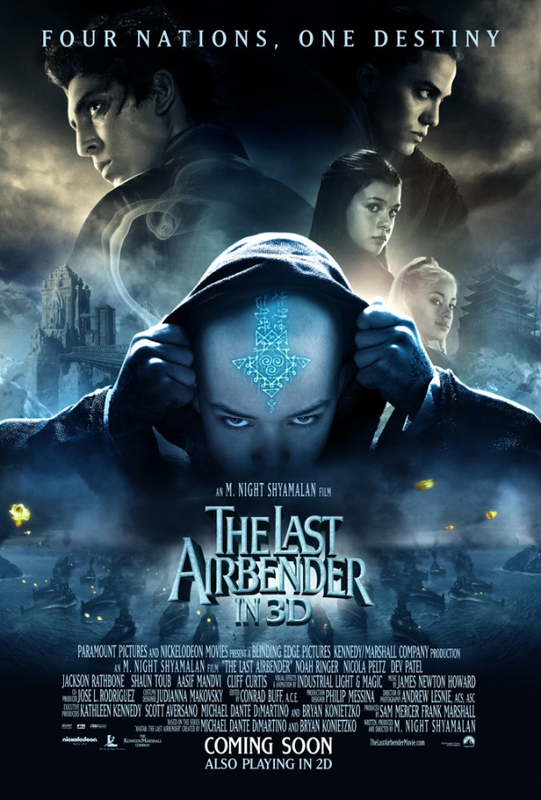 Although Avatar: The Last Airbender is a television show, I couldn't think of another film that quite matched the scope of Harry Potter. It's about kids learning magic to defeat an evil that is threatening their very existence. Aang, like Harry, is the one who can restore order to their universe. As he and his friends, Katara (Hermoine) and Sokka (Ron) grow up, the storyline become more mature and far darker. Unlike Harry Potter the conclusion is something so epic I would be a jerk to even hint at it. If you give this a shot, I promise you will not be disappointed. Potter fans should love it based on the similar set-up. Everyone else should love it simply because it is near-flawless storytelling. 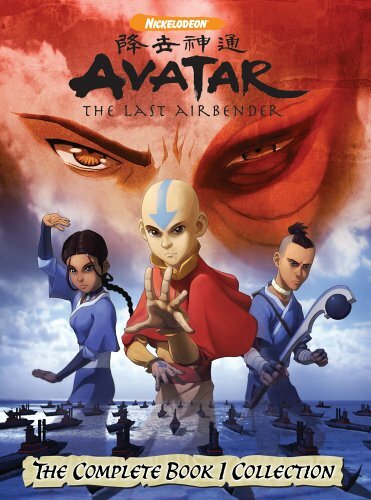 Last year a movie based on Avatar was released. It is called The Last Airbender. I beg you not to watch this. Everything that could have gone wrong does. It messes up crucial plot points, integral charcterization, and, hell, they don't even care enough to get the characters' names right. This is a train-wreck in every aspect. Star Wars. Star Wars achieved the shift in tone that the Potter series struggled for. A New Hope is light, fun and fantastical. Empire Strikes Back is dark, tough, and serious. It brings everything crashing down to a hard reality. The rebels are losing and they have almost nothing left to fight for. Return of the Jedi sees the battle swing back in their favor and showcases the epic showdown between Darth Vader and Luke Skywalker. Compared to this, the Harry vs. Voldemort brawl was nothing. 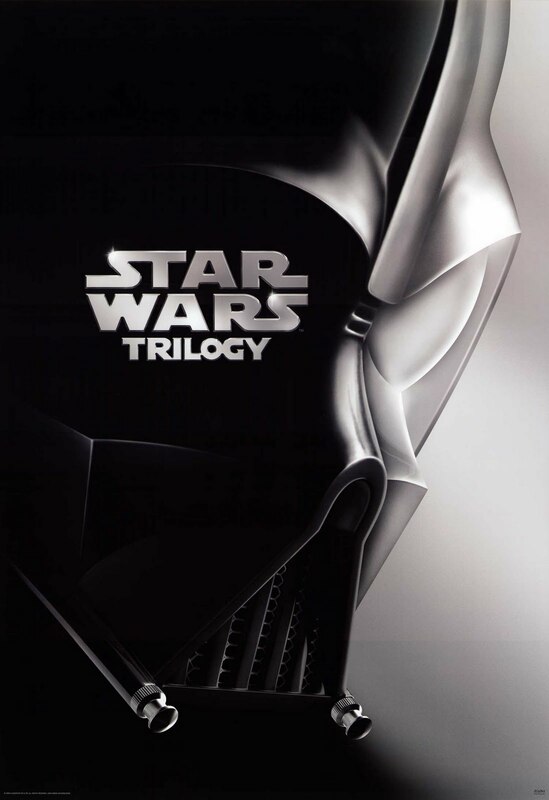 Still the champ of the "epic saga" genre, Star Wars will gain new legions of fans for years to come.